2017 is well underway, building from all that was learned in 2016. 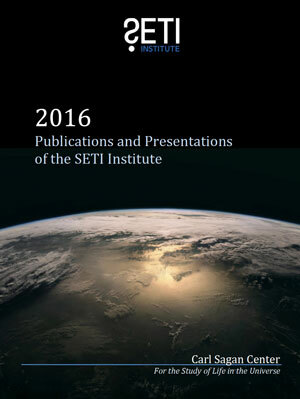 The work of the Carl Sagan Center at the SETI Institute is detailed in 2016: Publications and Presentations of the SETI Institute, which can be downloaded here. Every day the scientific research that goes on at the SETI Institute tries to answer fundamental questions: How many planets exist that might support life? What is required for life to exist? How does life start? How does it evolve? In short, where did we come from and are we alone? 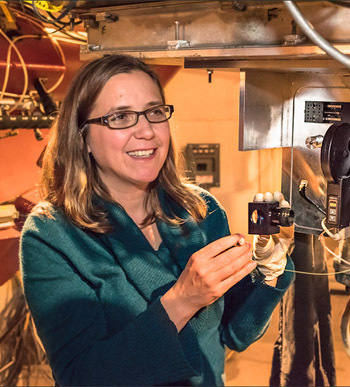 Our team focuses on disciplines including space and planetary exploration, analogs, and observing and modeling the precursors of life in the depths of outer space. Each Carl Sagan Center research project is related to understanding the origins of life or the extent to which life may be present beyond Earth. Publications during 2016 were extensive and included Nature and Science as well as the Astronomical Journal, Astrobiology, Applied Physics, Journal of Chemical Physics, Icarus, Proceedings of the Royal Society, Aeolian Research and more. 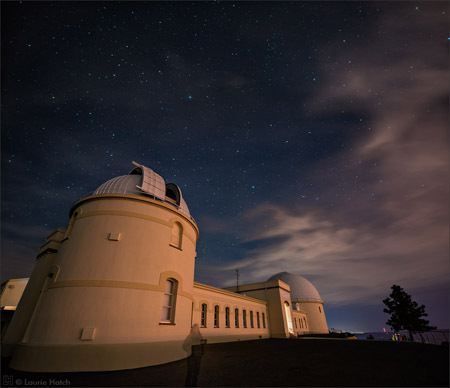 Sharing learning with the wider world is part of the mission of the SETI Institute. SETI Institute researchers speak at dozens of engagements each year, as well as write stories and be interviewed in the popular media. The breadth and depth of the science, combined with the impact and reach of our education programs help tell the whole story. 2017 is shaping up to be just as exciting. Join us on our journey of exploration and discovery. Sign up for our e-news for the latest updates and information. So wondered the great physicist Enrico Fermi. The Universe is ancient and immense. Life, he reasoned, has had plenty of time to get started – and get smart. But we see no evidence of anything alive or intelligent in space. In the last five years, we have discovered that planets in the habitable zone of stars are common. Based on the numbers discovered so far, there are estimated to be billions more in our galaxy alone. Yet we are still in the dark about life. Are we really alone? Or are there others out there? It’s one of the biggest questions. And only science can answer it. Breakthrough Listen is a $100 million program of astronomical observations in search of evidence of intelligent life beyond Earth. It is by far the most comprehensive, intensive and sensitive search ever undertaken for artificial radio and optical signals. A complete survey of the 1,000,000 nearest stars, the plane and center of our galaxy, and the 100 nearest galaxies. All data will be open to the public. Breakthrough Message is a $1 million competition to design a message representing Earth, life and humanity that could potentially be understood by another civilization. The aim is to encourage humanity to think together as one world, and to spark public debate about the ethics of sending messages beyond Earth. Life in the Universe does not only mean extraterrestrials. It also means us. No other beings have yet visited us – but neither have we stepped out to the galactic stage. Are we destined to belong to Earth forever? Or can we reach the stars? If we can, the natural first step is our nearest star system, Alpha Centauri – four light years away. Green Bank is currently funded by the National Science Foundation. But those funds are now threatened for the future. Please visit GBO, and see how you can help. Lick has faced a funding crises created by the University of California. Please visit Friends of Lick to see how you can help.